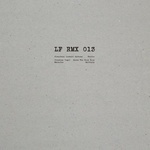 LF RMX 014 contrasts two producers' different approaches and their respective reworks by Len Faki. The A-side is packing heat in form of classic, jacking acid house courtesy of Michael E, whose tracks have that special Ultramajic-sparkle about them but hit with the tight punch and acute precision of a true LF-engineered edit. 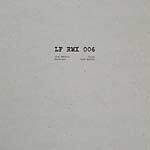 The same goes for the ominous reworks of Litüus' experimental synthesis on the flip. Released originally on Shifted's Avian label, these heavily modulated analog sequences merge seamlessly together with Faki's metallic percussion. Len Faki is sharing his newest edits, which this time are tackling classic minimalist techno from Luke Slater under his Planetary Assault Systems moniker, some technoid funk from Cristian Vogel, and fresh fodder off Marcelus' recent LP. "Twelve" takes the A-side for six-minutes of run-and-gun, vocal playing center sticking to you long after coming home. The "Hardspace Mix" of the bouncy "Xpute The Whoop Whoop" brings it back so it can easily be thrown together with today's more linear techno productions. "Multiply" breaks up the streamlined grid in favor of introducing a softer and more intricately woven "Deepspace" grooves. 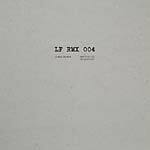 Four "Hardspace Mixes", each one of which allowing a different shade of Len Faki's musical guise to shine through. Mr. G's "Guidance" has quick, bouncy grooves on top of a three-note bassline, suspenseful strings, and sensous vocals. Equally smacking, yet both tribal and technoid is his rework of F.E.X. 's "Never Give Up". Tackling a current UK-rechno-favorite, Randomer & Cadans' "Anchor" has got a grimy grind to it, which gets churned into an even more wicked version here. Ribé's "Outlines" is a deep-spacious, echo-laden affair, oscillating in tune and zoning alongside skittering percussion. 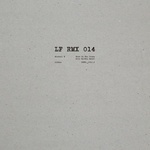 Back with another pair of his heavy-hitting "Hardspace Mixes", Len Faki hands two mighty club weapons. Aimed at no less than unleashing havoc on the floor is the edit of 99Letters' frantic drum-roll-fest "Lazer Beam". Already quite a force to be reckoned with, Faki manages to beef-up the mix even more, adding rumbling bass-weight and injecting some extra steam to make it roll out until the end. On the flip side there's the hypnotic groove of Austen/Scott's "Space Taxi". Captivating and enveloping, this mix alters the original signature bass in order to shift gears into what feels like full forward. Taking on a true trance classic and a personal favorite of his, Len Faki takes you back to the golden era of big melodies and early raves, sharing two very distinct interpretations of "Firedance" by Odyssee Of Noises, the prolific production outfit helmed by Ralf Hildenbeutel. Side A keeps with the emotive theme of the original's "Sunrise" version, tweaking only slightly to cater for the needs of today's dancers. Reshaping the classic to match modern productions for it to be mixed with current bangers, Faki packs the tune's anthemic appeal into a propulsive ride down memory lane. 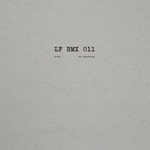 Len Faki takes on a couple of classics for 007 of his special edits series, LF RMX. First up is a tweaked version of Steve Stoll's "Reciproheat", elegantly edged while carrying the proper weight to move. DJ Shufflemaster's booming "Housedust" release from the same year however has a wacky tack to its groove, it's mind-bending qualities yet amplified by Faki boiling down the tempo to more current confines. The flipside goes all deep, starring a rework of Valentino Mora's recent space odyssey. A gently pulsing edit of UBX127's "Barabrus" eventually puts a meditative and soothing finishing touch to the EP. Alex Danilov's "Inside" comes in two new versions here, both of which build upon the Russian producer's trademark filter action, making for a groove that funks as strongly as it remains subtle. The charming "Deepspace Mix" patiently unfolds into crisp breaks and lush strings, followed by a remarkably atmospheric "Hardspace Mix", which soon steps it up a notch and gets that floor chugging away. Meanwhile on the other side, Developer's steaming "Lost Moments" is treated to an array of additional elements, the outcome sounding razor-sharp and agile as ever. 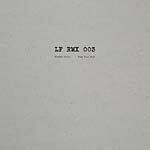 Remixes by Len Faki. 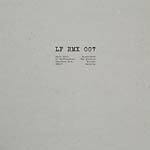 Len Faki shares another batch of his personal secret weapons, this time giving away three floor-focused edits, starring a pair of Russian producers Philipp Gorbachev and Nocow. 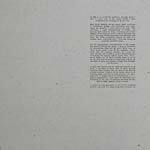 First up are two takes from Gorbachev's recent LP (PGTUNE 001LP, 2016), a throwback into the rave scene's heyday. It features anthemic synths and even front-row vocals by Polina. The similarly sumptuous cut "Lazer" (featuring Interchain) waltzes through Faki's tested and well-proven percussive layers. The "Hardspace Mix" of Nocow's "K$$$$" hits a special spot, mixing heavy bass, IDM-grade level of detail and Ghetto-ish vox into a unique and heady power-blend. 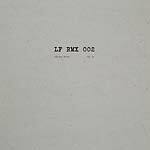 On the latest installment of his remix series, Len Faki tackles two compositions from Aleksi Perälä, both of which feature the Finnish artist's renowned musical tuning system, dubbed "The Colundi Sequence". Both edits build on the originals' deeply hypnotizing synthesizer sequences while adding some extra punch and arrangement tweaks in order to turn them into proper dancefloor weapons. 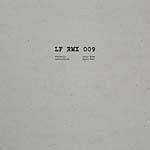 A straightforward bleep affair, the "Hardspace Mix" of "GBBVT1337152" underlines its simple yet utterly effective beauty. In contrast, "UK74R1409047" is a moody and mystical ride under the night sky, whose enchanted vibe Faki carefully retains. 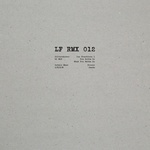 LF RMX is a new series featuring edits and remixes originally made by Len Faki. The second edition presents two complementary contrasting versions of "Deep In" by Stephen Brown. Sticking to the strengths of the source material, Faki's sleek polish makes the centerpiece acid bassline and playful cut-up vocal stand out from the mix even more. Already quite a force to begin with, the momentum only keeps growing as old school drum-breaks and additional percussion roll in. 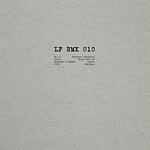 The original's linear progression is traded for murky, modulating analog squelches on the "Deepspace Mix", turning the tune into a dubby late-night groover. 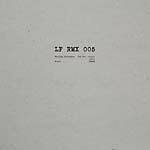 LF RMX arrives as a new non-profit platform which will share only edits originally made by Len Faki for his DJ sets. The first release features the rework of DJ Bone's 2016 slammer "Black Patterns", whose heavily rolling nature the "Hardspace Mix" builds upon. Keeping the old school drums' weighty feel, Len Faki gives his edit a more compact shell and punchy edge. The centerpiece piano stabs also reign over this version, albeit rising in a glimmering, glistening fashion. 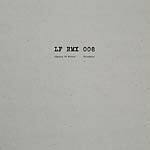 The "Hardspace Tool" steers clear of piano and vocal, rather developing a lively sequence of unmistakably Len Faki-styled, vigorous percussive permutations.